Home Blogs Circular Economy: Are there quick wins for plastic processors? Applying the circular economy ideologies to plastic processing requires a systemic shift in attitudes and actions. Yet, there are some quick wins regarding manufacturing,claims Nigel Flowers, Managing Director of Sumitomo (SHI) Demag UK (SDUK). In the following article, he outlines the latest energy management trends and technology developments from the company’s own ranges that can help plastic processors to enhance their environmental footprint. Sustainability is just one aspect of the circular economy, but it is one that is driving plastic injection moulders to opt for more energy efficient systems. Yet, reducing an organisation’s energy consumption is not just good for the environment, it also significantly impacts Total Cost of Ownership (TCO) and Return on Investment (ROI), and helps a moulder achieve greater resilience. These factors underpin the circular economy from a manufacturer’s perspective. Robust data will always be central to the decision-making process. Until very recently, machinery suppliers have struggled to put into context the tangible benefits and quantify and compare performance data in relation to energy consumption, investment and planned maintenance costs, mould wear, output quality etc. Commercial evidence is clearly important for moulders. For it to be credible takes years of testing. When Sumitomo (SHI) Demaglaunchedthe all-electric IntElect2 range in 2017, the company chose to share statistics with customers measuring the energy benefits of all-electric compared to an equivalent hydraulic or hybrid machine. The tests, carried out against the IntElect2’s predecessors in the IntElect and Systec ranges,showed a 24 per centincreasein production output, up to 47 per cent reduction in energy consumption, 62 per centfaster machine return-on-investment (ROI) - typically around 18 months - and enhanced mould safety, when compared to an equivalent Systec Servo machine. Capital costs are around 12 per centlower than first-generation IntElect. Many of the IntElect’s enhancements can be attributed to the machine’s improved drive system, which is geared towards top dynamics, precision and repeatability. The new 400v motor design is shorter and features new types of spindle. Its encapsulated windings improve heat transmission, while the new load cell improves precision, in addition to reducing heat sensitivity. Other energy beneficial features include the highly-optimised axis control, which is applied during the changeover from injection to hold, as well as the single-valve technology, which is able to reduce lubricant consumption by 50 per cent. Taken together, these features can significantly reduce the frequency of scheduled mould maintenance, potentially doubling the period between service interventions and saving on average €780 per annum on lubricants. To help protect the longevity of the moulds, which if cared for and maintained properly, should on average have a lifespan of over 10 million 10-second cycles over five years, the IntElect2 features new FEM-assisted centre press platens. This feature delivers improved clamp force distribution, which combined with the control linear guidance offer maximum in-mould protection should a foreign object enter the mould. Another environmental benefit of all-electric is they are quieter, an IntElect machine is 10 dB(a) or 75 per centquieter than a hydraulic machine – and cleaner, having no oil, and no filters requiring regular replacement. This makes them ideal for hygiene sensitive food production environments, or medical and pharmaceutical facilities that require an ISO class 7 or 8 clean room. There is no risk of fluids leaking, significantly reducing the risk of cross contamination. 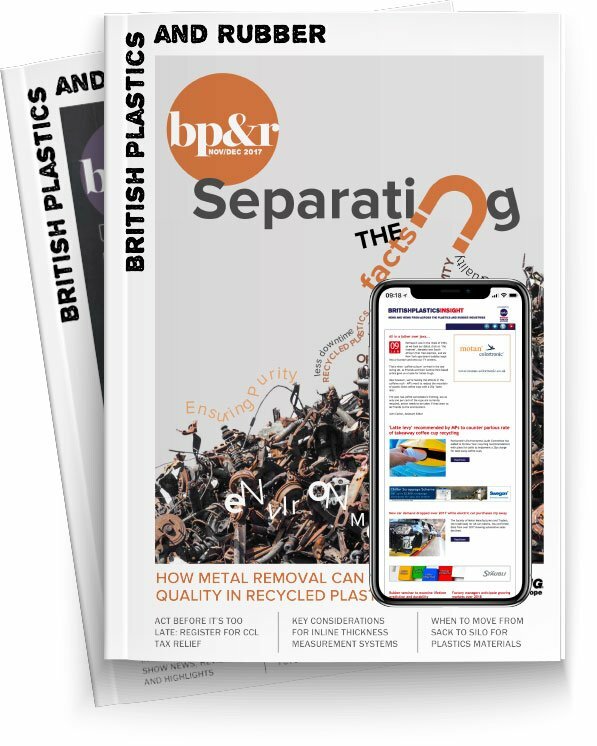 Moulding machines are big pieces of kit and with sustainability implying resilience, disposing of valuable assets before their lifetime has expired isn’t resource efficient. It requires investing not just in new technology and machines, but also supporting legacy systems and advancing asset care programs. Currently, the UK injection moulding market is spilt 25 per cent electric/75 per centhydraulic. For industries where precision is paramount, such as medical devices, the switch to all-electric has been more rapid. However, all-electric injection moulding is far from a universal panacea and there are several legacy systems out there that continue to perform well. Additionally, there are, and may be for some time, production areas better suited to hydraulic and hybrid systems, notably those requiring higher tonnages, for example the automotive and other heavier engineering sectors. For hydraulic injection moulding systems, gearboxes create friction and add to energy losses. Electrical direct drives available on today’s hybrid and all-electric systems evade this issue. What’s more, the use of multiple frequency drives installed on a common power bus allows kinetic energy to be recovered. This means that the braking energy of one drive can be passed on to another via the inverter, rather than being lost. For example, while the clamping unit is braking, the energy generated can be used for the energy-intensive step of plasticisation. For plastic moulders, having centralised monitoring of real time machine and energy performance will be critical to achieving zero machine downtime, which is the ultimate goal. It’s why Sumitomo (SHI) Demag created the activePlus technologies, as they are able measure four critical aspects of machine performance, including energy efficiency. activeRemote forms part of this technology package, which utilises industrial 3G mobile technology to provide real-time monitoring and troubleshooting of machine settings and issues, linking customer injection moulding machines securely to the company’s service management system. Sumitomo (SHI) Demag will continue to focus product development on reducing energy consumption. Following on from the very successful launch of the IntElect2 50-180 last year, the IntElect2 220-450 will be released later this year, delivering the same reduction in energy and footprint as its smaller relation. The company will also release further improvements to its super-fast cycling El-Exis machine; this is especially challenging as there is almost no latency with a fast cycling machine and so the opportunities to reduce energy is more difficult.